The group Destiny's Child is a real benchmark of quality for numerous fans of R’n’B. Actually, it is no wonder, as soon as their records were sold in practically no time: the interest for the trio’s creativity has always been very high and it is still of the same level. Unfortunately the group was disbanded in the beginning of the new millennium, but, on the other side, listeners got an opportunity to enjoy solo projects of Destiny's Child’s members. Kelly Rowland marked the beginning of her solo career in 2002, when she released Simply Deep. Then her fans understood that the artist was able to use all her potential just by her own. Rowland’s amazing vocals let her conquer the upper lines of charts, while the quantity of Kelly’s listeners enlarged. Curiously enough, but not everyone manages to launch a successful solo career after being a part of a nice band. And even less people could keep that career up. Anyways, Kelly Rowland is definitely not one of them. The singer’s experience and talent let her creativity fly without any limits. 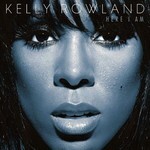 Thus, the lovers of high-class R’n’B got another reason to cheer – the release of Rowland’s fresh studio attempt titled Here I Am took place in the summer of 2011. There is no doubt that Here I Am became one of the strongest and most confident studio attempts of Kelly Rowland. First of all let us not forget that among the producers of that record were David Guetta, Ne-Yo, Darkchild and many others. Moreover, it goes without saying that Kelly herself has a well-deserved reputation of an extremely devoted and talented singer. However, the very first track I'm Dat Chick lets everyone to understand that truly huge work had been done while creating Here I Am. The next song Work It Man sounds not less powerful – owners of high-quality acoustic systems will definitely enjoy it. Well, can anyone imagine a real R’n’B without juicy bass? The composition Motivation was recorded together with Lil Wayne and it will please all the lovers of contemporary rhythm and blues ballads. Actually, the long play presents a whole kaleidoscope of styles, from pop-music to soul and electronica. In one of the interviews Rowland stated that she was not so concerned about styles, she just wanted to write a kind of music that will be enjoyed both by herself and by her fans. As the result, Kelly managed to release an incredibly atmospheric album, which satisfied four-year waiting. Will Here I Am become a bestseller? The answer to that tricky question lies within ten compositions of an album. Contemporary R’n’B – this saying is about such tracks as Lay It On Me, Turn It Up and other songs from Here I Am. Vigorous beats, juicy bass and absolutely amazing vocals play their role perfectly. Here I Am can boast of elaborated sound of the highest quality. One can just enjoy the very process of music creation, and if some fresh elements appear during that process – why not? Anyways, Rowland and her team made an astonishing job and reached the great level. It is worth mentioning that the artist is not losing her passion to the music: Here I Am proved to be the best proof of that. Kelly’s discography was enlarged by a fine album that is a logical development of her previous studio attempts. Well, Rowland’s solo career is picking up steam indeed, and it is hardly possible to argue with that.